On Friday, we met with a few major Buffalo stakeholders Jack McGowan and Paul Tesluk. Both stakeholders grew up in the area and decided after attending Cornell that they wanted to stay. 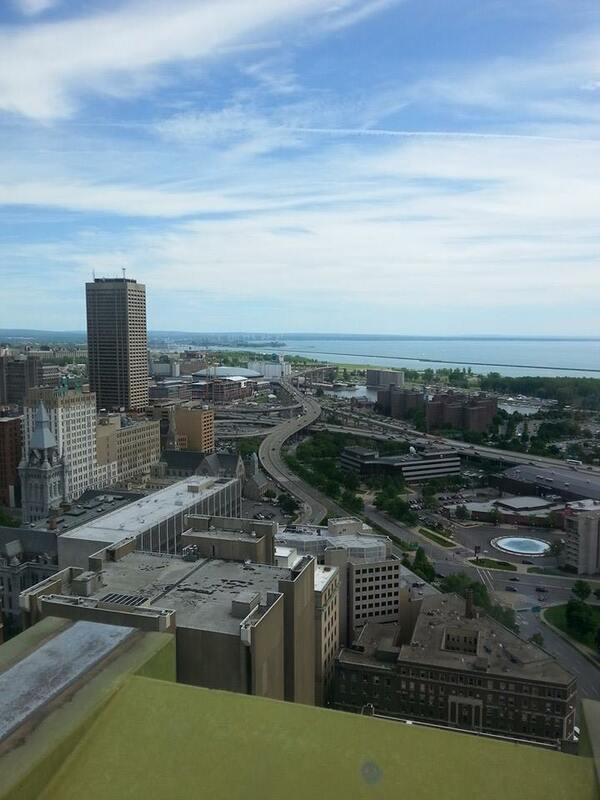 They spoke to us about the future of Buffalo entrepreneurship and venture capital flows. Many organizations in Buffalo have become bastions of community based growth and development hubs for Buffalo entrepreneurs. During the speech, I questioned whether these mentorship and development programs are large enough to provide everyone access to them. 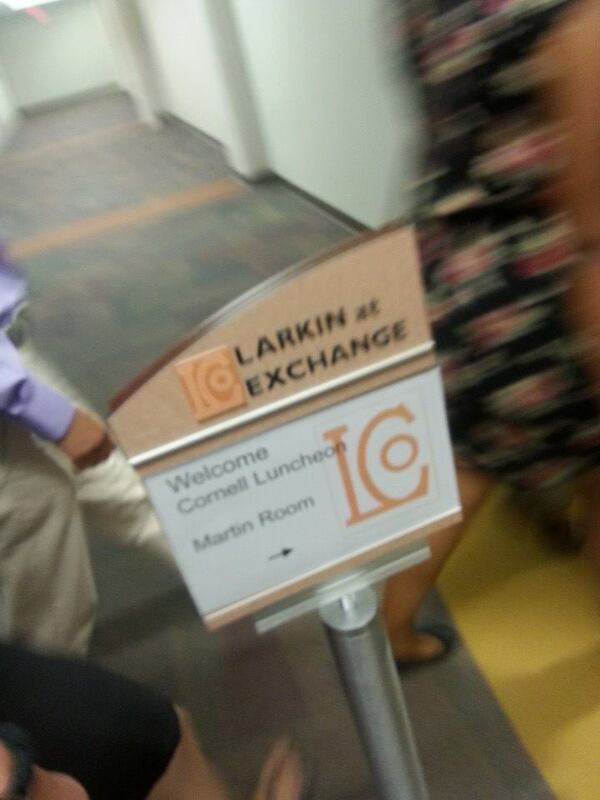 Our group visited Larkinville and had a chance to meet with Howard Zemsky, the co-chair of the Regional Economic Development Council for lunch. We met with Brendan Mehaffy, from the Buffalo Office of Strategic Planning. He discussed the progress that the city has made in developing a long term-strategy. As an added bonus, I had the ability to visit the observation desk of city hall. I looked down and saw the highlights of the city from over 200 feet in the air. From this distance, I wondered whether the city’s plans were having a positive effect on the ground level. Plus, it was a breathtaking view. 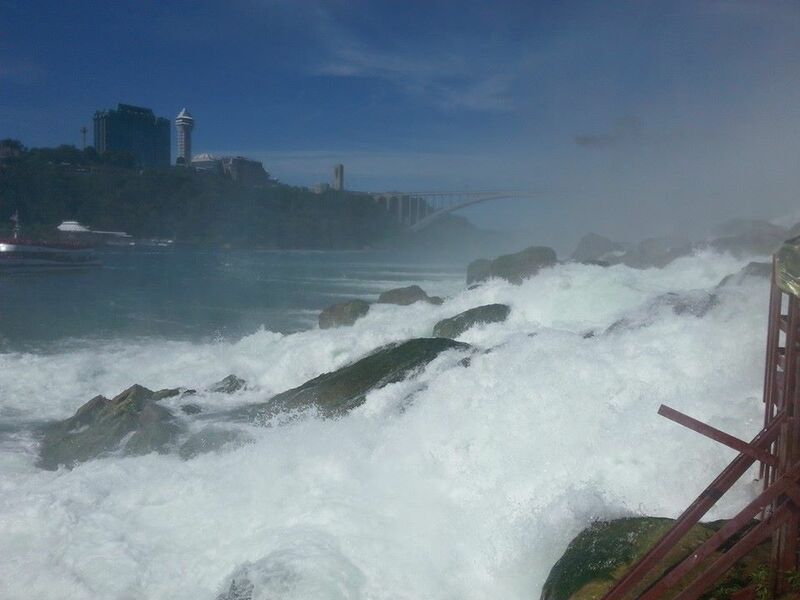 On Saturday, I joined my fellow high roaders in a trip over to Niagara Falls. We spent the day looking over the tourist attractions. I thought back to a previous speaker who mentioned the Buffalo Niagara region as a major tourist destination and wondered whether the visitors who made the trip to the falls were also visiting Buffalo. I took some time to analyze my past experiences and reflect upon what I learned. I rested up to re-energize myself for the next week. As I sifted through the data, I explored the many cases of foreclosure fillings in Erie County. Each case provided me with a snapshot of the trials and tribulations of families simply trying to keep their home. I was continually amazed at what could be said through a snapshot of data. The difference between several numbers implied whether a family was uprooted or allowed to stay in their home. I finished one batch of data and headed on to another. I took a day off from data work and began to put some time into helping out with the Western New York Law Center’s Keeping Banks Responsible to Our Communities Conference. I helped prepare in order to make sure the event ran smoothly. At the conference, we discussed the importance of Responsible Banking Initiatives that require banks to reinvest in communities in which they get deposits. We discussed some of the underserved communities where bank branches and loans are extraordinarily scarce. At the end of the conference, I wondered whether the event had an affect on the groups that attended. In the future, I hope to follow the ordinance that the Buffalo Community Reinvestment Coalition proposed. After work, I watched my supervisor on a local game show called “Bragging rights”. I appreciated an opportunity to sit in on a live studio audience. People need tools to be successful, as entrepreneurship requires advice and mentorship. City plans need to be comprehensive in nature and responsive to the vital needs of the community. Banks need to be much more responsive to their local communities.